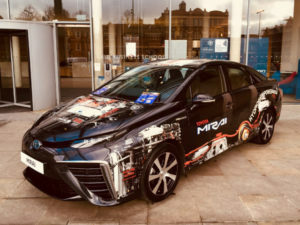 Oxfordshire has become the latest place to open a Hydrogen Hub initiative, driving the launch of new hydrogen and fuel cell projects in the area. Launched as Oxford City Council pushes ahead with plans to ban petrol and diesel cars from the city centre by the end of the decade, the initiative will be located at the University of Oxford’s Said Business School and will bring together local stakeholders and the hydrogen and fuel cell industry to develop projects that will deploy technology in a way which meets the local energy needs of the community. The opening of the Oxfordshire Hydrogen Hub follows the January 2016 launch of the initiative in Swindon and Wiltshire, which has driven more than £1.5m of external investment in hydrogen and fuel cell projects in the region with over 50 different organisations participating in working groups and projects. This includes a major fleet trial of hydrogen cars.